Because it changes up so much of what we’ve come to consider the traditonal Zelda formula, Zelda II: The Adventure of Link is often considered the black sheep in the series. But I loved the switch to a side-scrolling action RPG with towns and NPCs. The story of how I played Zelda II is closely intertwined with why it’s such an important part of my childhood. I have written previously about how my The Legend of Zelda experience was very different from other kids’ because I innocently typed in the name “ZELDA” and played through the Second Quest first. It was brutally difficult and the puzzles seemed totally random, with walls you had to walk through and super-complicated labyrinths. In the late 80s, my family moved from the U.S. to South Korea. I spoke no Korean, so I struggled a lot attending Korean schools. Being bullied by other kids was a part of it, as was the general feeling of stupidity I felt since there was so much I didn’t understand. For me, video games became a comfort zone and an escape to the familiar. Unfortunately, being in Korea meant access to North American games was rare since all they had was the Famicom. Somehow, I was able to track down a copy of Zelda II, and I knew it’d pretty much be my only new game for a while. I was committed. The moment I fired up Zelda II, I saw the familiar had evolved into something much more complex. I loved its colorful manual, sprawling world, and towns filled with NPCs. I know the NPCs seem absurdly limited now, like the guy who only says “I AM ERROR.” Back then, it was a warp zone to another universe. Not only was there a thriving community, but many of these people needed help. In Darunia, an old woman’s child was kidnapped by a Geru, and Link had to travel to the Maze Island to rescue the kid. In Ruto, a Goriya had stolen a family’s trophy, and Link had to retrieve it from the Desert Cave in Western Hyrule. Through Link, I was working to make a difference in their lives. There was a sense of lore and mystery that broadened the scope of the game in my mind. I wondered about the wise men within each town: Who were they? Where did they learn their spells? I was haunted by the King’s Tomb and the story of the dead monarch who had tried to pass on the Triforce of Courage to the prince, as told through the game’s thick, gold-covered manual. The palaces were designed as a forge to test Link’s fortitude and I was curious about their history, as well as that of every Iron Knuckle who stood eternally in guard. I also wondered who’d created the quirky array of items and spells, like the boots that would give Link the ability to walk on water, or the fairy spell that let him turn into an actual fairy. What attracted me the most to Zelda II was that it was the first time we got to see a darker side to the series. It was chilling to realize that Ganon’s underlings would stop at nothing to obtain Link’s blood so they could resurrect their dark lord. When I first visited the old town of Kasuto and found it in ruins, invisible Moas assaulting stray wanderers, I felt terrorized by its fate. All the crosses nearby meant there’d been a whole lot of death, and I knew Ganon’s minions had to be stopped from bringing him back. The more detailed graphics and bigger sprites made the enemies appear more menacing and hostile. They were ganging up on Link to bully him, the black shadows attacking him on the overworld. The evolved combat system meant that enemies could defend themselves, withdraw, or strike strategically, using the environment to their advantage. Link had to up his game just to survive. For the longest time, I thought Zelda II was one of the best games on the NES. So I was honestly surprised that many people disagreed, and that even Shigeru Miyamoto himself considered it to be the closest thing he had ever made to a “bad” game. I’ve listened to some of the critiques and admit that many are valid. One of the biggest gripes I’ve heard is Death Mountain’s sudden appearance after the second palace which, admittedly, can be shockingly difficult. The axe-throwing Dairas are the worst, not only because they inflict a lot of damage, but their weapons can’t be blocked. As a kid, I embraced the challenge and found them a great place to grind for experience points. While the path was complicated and required a grueling series of forays, I eventually realized taking the rightward path in most splits was the best way forward. Most importantly, the reward of the hammer made the challenge of Death Mountain worth it—as well as skippable afterwards. Link also obtains what is arguably my favorite sword move in the entire series right after Death Mountain. The downward thrust is an ability where Link jumps and stabs directly down. It became a quick, damage-free way to get through legions of stronger enemies without having to kill them. Not only does this make the game much easier to navigate, but I really liked seeing Link’s growth as a swordsman. Leveling up through experience points bolstered that feeling. As you gain levels, magic spells take fewer points to cast, Link’s body becomes more resistant to physical damage, and his sword attacks become more effective. This felt more like true empowerment, not just gaining a new item for Link’s inventory to expand his arsenal. This is one of the few Zelda games where I palpably felt Link’s growth over time. Another critique is that even though the game gives you three lives, if you lose them all inside a palace you have to start back at the North Palace, where the game began. This also made me extra cautious in my preparations for the palaces. I would make three separate visits to each palace: Once to get the special items within, once for level grinding, and once for the final boss battle. By the standards of NES games at the time, this didn’t seem abnormal to me, considering that death in most RPGs of the time usually meant going back to the last save and losing all progress. Dying in Dragon Quest meant your character lost half his gold and was taken back to King Lorick. Once Link gains the hammer and flute, it doesn’t take long to return to most parts of Hyrule. Stepping on some map tiles along the way would cause Link to drop into areas full of obstacles and enemies. But I learned a trick to get around them: Trigger the enemy sprites, wait for an enemy to overlap the tile in question, and then step on it to start the enemy encounter instead. You could skip an entire area that way. I didn’t have access to Nintendo Power magazine or any other hint guides, so I learned every tile of the map. While I had read the manual, I missed one detail that prevented me from finishing the game. For the longest time, I didn’t know you could use the hammer to cut down trees. So I had no idea how to find New Kasuto Town, the first step on the road to the sixth palace. When, by accident, I cut down a tree, I wondered if some of the forests hid secret locations. I’m not exaggerating when I say I cut down every tree in the game until I found New Kasuto, and was so thrilled when I finally found it. The magical struggle against Wizzrobe in the Maze Palace wasn’t hard since it essentially came down to bouncing back his spells with good timing, but I appreciated how it mixed up the boss battles to not just rely on Link’s sword. At the end of each palace, when Link places the crystal in the statue, he’ll automatically go up to the next level no matter how much EXP he currently has, a welcome boon from the developers. There’s no doubt Zelda II was a difficult game, but I felt Nintendo gave players enough tools to find creative ways to get through most of the trials. As much I loved the visual leap that Zelda II took, the soundtrack was, and remains, one of my favorites on the NES. I still know each of Zelda II’s tunes by heart. The palace music by Akito Nakatsuka is my favorite theme of any of Zelda’s labyrinths, palaces, or dungeons. The town theme evokes a sense of wistful nostalgia, almost like I’m going home. I remember the indoor training song filling me with a sense of mystery and yearning to learn that new spell or sword technique. The music for the Great Palace is glorious. The narrow path to the Great Palace is arduous and there are some ridiculously difficult caverns along the way. The palace itself is long, confusing, and torturous. Link’s final challenge isn’t Ganon or an enemy monster, but his own shadow, a symbolic struggle to conquer himself. Back then, I didn’t know the trick of squatting in the left corner and stabbing at Shadow Link’s knees. I had to fight him without resorting to spamming. There’s an art to wielding Link’s short sword and by then, I’d mastered it. I didn’t beat Shadow Link the first time or the second time. But when I did, I was immensely gratified to finally wake Princess Zelda out of her long slumber. I recently replayed the entire game and felt a sense of familiarity that instinctively helped me to navigate some of the more difficult areas. I was grateful for the experimentation the developers took with regards to the original Zelda’s formula. My relationship to the sequel felt the same as it does with Majora’s Mask versus Ocarina of Time, liking Majora more despite knowing that the latter is a “better” game. I’ve always wished there was another game in the Zelda series in the style of The Adventure of Link, only with a more modern sensibility incorporating some lessons from recent Metroidvania games. My memories of living in Korea will always be intertwined with Zelda II. Like Link, I leveled up and eventually did learn to speak and write Korean. I even found some friends with whom I shared a passion for games. Although I returned to the States after two years, the general sense of helplessness I had initially felt in that new environment meant I found comfort in being transported away to the land of Hyrule, fighting alongside Link. The fact that Link was left-handed like myself only made me appreciate the game more. 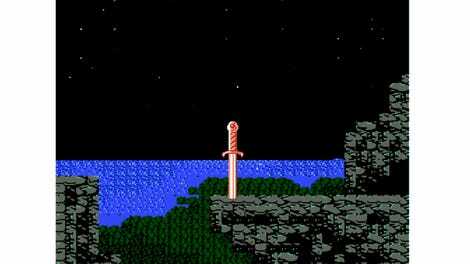 Zelda II will always have a special place in my heart for inspiring me to pursue not just wisdom and power, but the courage to face the adversities life was throwing my way.